As the weekend approaches, local athletes will have plenty to look forward to in terms of racing; there is an abundance of choice for those wishing to lace up the racers! There are trail races, cross country races, road races and a race that pretty much covers all terrain. 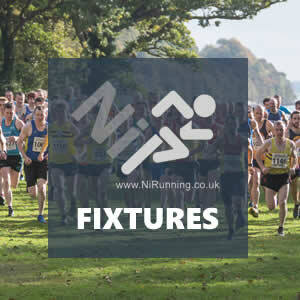 A quick glance at the official Athletics NI calendar throws up some excellent events, namely the McConnell Shield XC, the Run 4 Rescue 10 mile / 10k & 4 mile Races and the opening race of Born 2 Run’s ‘Run Forest Run’ Series, the Minnowburn 10k – the Decathlon 10k is also in there! We’ll cover these events in our preview – we’ll also make you aware of what else is happening this weekend! On Saturday 4th November 2017, East Antrim Harriers will host the 83rd annual running of their long established McConnell Shield XC. 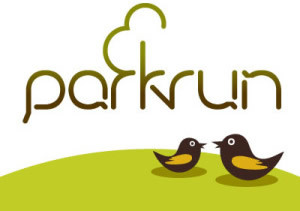 The event, which incorporates both junior and senior races, takes place in Sixmilewater Park in Ballyclare (with registration taking place in the Six Mile Leisure Centre). Podium finishers from 2016, Neil Johnston (Springwell Running Club) and Mark McKinstry (North Belfast Harriers), should both play a part at the front. 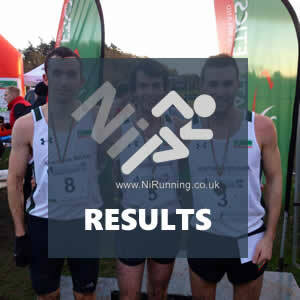 The talented pairing could well be joined by John Black (North Belfast Harriers) and Neill Weir (Willowfield Harriers); John and Neill both claimed top ten places at last week’s Bobby Rea XC. The winner at Kilbroney Park last weekend, Scott Rankin (Foyle Valley AC) may also make use of the on the day entry system, and will again challenge for honours if he does. Ballymena Runners are expected to field a sizable team, with Ben Morrow likely to spearhead their challenge for individual placings as well as the team trophy. In the ladies race, Jessica Craig (North Down AC) and Laura Bickerstaff (Dromore AC) should toe the line. The training partners have kicked off the cross country season with strong performances, picking up prizes in Comber and Rostrevor respectively. In terms of challengers, Catherine Diver (Beechmount Harriers), Cathy McCourt (Unattached) and Sarah Lindsay (North Down AC) should place well. Previous winner Catherine Whoriskey (City of Derry AC) could also enter on the day. In County Down on Saturday 4th November 2017, one of Northern Ireland’s top mountain running clubs, Mourne Runners, will host their annual Run 4 Rescue event in Annalong. All proceeds from the entries will go to the highly respected and valued Mourne Mountain Rescue Team. Unlike the usual Mourne Runners events, this race will not incorporate open mountain racing, but will instead cover excellent road and trail based courses, offering participants the option of a 10 mile race, an all new 10k route and the shorter 4 mile event. Perfectly described by a representative of Mourne Runners as an excellent way to get into the mountains without having to negotiate their harsh terrain, the event covers a tough but scenic route, starting at sea-level in Annalong before taking in road and coastal trail sections – the 10 mile competitors then face a continuous climb towards Dunny Water, where they turn and make their way back towards the finish at the local Community Centre, located on the edge of a pleasant green area beside the sea. The 10k course is much faster, with a mere 70 metres of accumulative ascent over the 6.2 miles. Although there will be a plethora of talent on show, it will be local competitor and reigning Champion William McKee who should lead the way. The current Northern Ireland Mountain Running Association (NIMRA) Champion has won the race for the last number of years and will prove hard to beat on a course he knows so well. However, that will not put off his friends Andrew Annett (North Belfast Harriers) and David McKee (Mourne Runners), should they decide to participate. Other athletes to look out for could include Timothy Johnston (Mourne Runners), Neil Carty (North Belfast Harriers), David Hicks (Newcastle AC) and Dale Mathers (Mourne Runners). Meanwhile, in the ladies 10 mile race, Northern Ireland international Karen Alexander (Acorns AC), a previous winner of this event, may compete. Hazel McLaughlin (Lagan Valley AC), Amanda Perry (Ballydrain Harriers), Karalee Porter (Mourne Runners), Bethany Haugh (Mourne Runners) and Sinead Murtagh (Newcastle AC) will all place well if they take to the start line. Entries for the Run 4 Rescue 10 mile, 10k and 4 mile races are available on the day. On the same day (Saturday 4th November 2017), local events management company Born 2 Run will welcome close to one thousand athletes to the opening race of their ‘Run Forest Run’ Series, the Minnowburn 10k. The scenic route will take competitors around the forest trails and paths which surround the home of Athletics Northern Ireland, the Mary Peters Track. North Belfast Harriers’ Kent Swann looks like the standout competitor in the men’s race – however, there is a strong possibility of further late entries on race day. The ladies race will bring a potentially exciting dual between North Down AC’s Rachel Gibson and City of Lisburn AC’s Judith Lonnen; this will depend on how Judith has recovered from an impressive outing at the Dublin Marathon last week. In Belfast on Sunday 5th November 2017, approximately five hundred athletes are set to take to the flat and fast Decathlon 10k course within the Belfast Harbour Estate, starting and finishing at the Decathlon store in Hollywood Exchange, Belfast. The race was free to enter (it has reached capacity) and should attract a mixture of seasoned athletes and fitness enthusiasts – if weather conditions are favourable, this is the perfect course for personal best hunters! Philip Goss (North Belfast Harriers), Garry Morrow (Willowfield Harriers), Ben Caughers (North Down AC) and Stephen Wylie (Victoria Park & Connswater AC) may be amongst the high profile athletes who toe the line. Meanwhile, in the ladies race, Jodi Smith (North Down AC) could be in the mix after returning from injury recently. Other ladies to watch out for could include Amy Bulman (Willowfield Harriers), Jenny Black (Victoria Park & Connswater AC) and Sarahjane Guiney (Unattached). Mourne Runners star Laura Graham qualifies for European Athletics Championships 2018! Andrew Annett and Hazel McLaughlin excel as runners turn out in support of Mourne MRT!